What is this IoT? – While a stereotypical short definition is hard to come by (and would probably not do justice to the vast gamut of things that IoT is), most companies do with the concept of ‘intelligent connectivity of smart devices’. Several German institutions – companies, colleges and varsities, governmental bodies – have come up with the notion of Industry 4.0/Industrie 4.0 – which also deals with Internet of Things in Germany in particular, and across the globe in general. How many ‘smartly connected’ things? – The number hovered around 7 billion at the end of 2014. The number of devices getting connected is expected to grow at exponential rates over the next few years. Software and professional mobile app developers estimate that the total count of ‘connected things’ would comfortably surpass 25 billion by 2020. The market value of Internet of Things is expected to show a corresponding steep rise, from less than $2.7 trillion in 2014 to well over $14.5 trillion in 2020. At this point of time, it is pretty difficult to put a cap on what the maximum number of connected devices would be. Are wearables a part of IoT? – Yes, and how! The first-generation Google Glass might not have found many takers, but most smartwatches have been uber successful – with Apple Watch leading the way. The Fitbit trackers and the wide range of Android Wear gadgets are also very popular. Wearable technology is steadily stepping into new domains of activities – and can currently be used to switch home lights on/off, open smart locks, and even for powering cars. The overall shipments of wearables has been projected to spike from 75.9 million in 2015 to a shade under 175 million in 2019. That’s a rise of over 230%. How fast is the concept of ‘Smart Homes’ growing? – Not surprisingly, smart homes have emerged as a key component of Internet of Things. From household security, to the usage of home appliances – the effects of Industry 4.0 is becoming increasingly apparent on practically everything, making the lives of the average smart-gadgets user more convenient than ever before. The Nest thermostat system from Google and HomeKit from Apple are the leaders as far as smart home solution providers are concerned, with Windows 10 IoT Core and Samsung SmartThings not far behind. The goal is make as many home devices and appliances as possible interact with each other, minimizing fragmented usage and wastage of time and resources. Are Smart Lights and Smart Cars really growing fast? – Let’s call it ‘very fast’. From a measly 2 million ‘smartly connected lights’ in 2014, there will be at least 110 million such lights by the end of 2020. The growth of ‘connected cars’ is expected to be similarly robust over the 2014-2020 time frame (around 1100%). The focus of tech giants like Apple and Google will increasingly be on making such smart cars and lights. The adoption rate of these gadgets is also expected to be fairly high. How important is IoT in business? – Very. 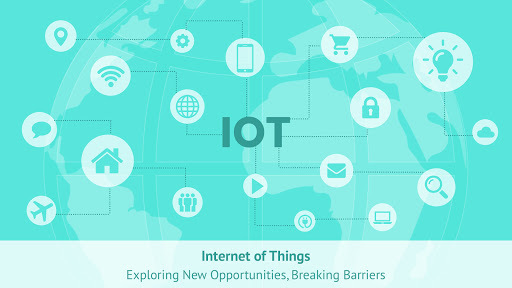 By 2015, more than 2 million corporate houses - with a large number of mobile app companies thrown in the mix – were connected to the Internet of Things. The figure is all set to grow rapidly in the near future, as awareness about the benefits of IoT spreads. Interestingly, at present, almost 88% people do not really know what IoT is all about. That’s going to change soon, and a Forbes study suggests that a whopping 2.3 billion people will be using smart home technology alone. Now that’s some growth! Are sensors vital in the overall IoT setup? – The success of ‘connected devices’ will critically hinge on how well the new-age sensors function. From detecting vibrations and moisture levels and electricity (ampere) usage, to pressure and active/inactive states of a service – ‘intelligent sensors’ are geared to perform a lot of tasks. Experts from the fields of hardware and mobile app development have also reported the usage of sensors that can convert data from the analog to the digital format, before analysing and processing the same. Things as simple as wifi services will get a huge lift with the help of smart sensors. How many cars are likely to get connected over the next 5 years? – Surveys and business forecasts suggest that, on average, 9 out of every 10 cars will come under the hood of Internet of Things by 2020. Most iOS app developers feel that the Apple CarPlay would arrive in 2019, while driverless cars have already been test-driven by Google. These ‘smart cars’ will have full-fledged digital cockpits, and the Tegra chips by NVIDIA have been used to power cars like Bentley and Mercedes. Intel and Qualcomm are also reportedly coming up with chips for ‘connected cars’. Back in 2012, less than 2% cars were connected to the internet. 8 years on, that figure will probably touch 90%. Which industries are using IoT the most? – The Industry 4.0 revolution has been an all-encompassing one. On the professional front, it offers various advantages – and hence, it is being gradually adopted by many different industries. The manufacturing and automobile sectors would probably be the front-runners as far as IoT-usage is concerned, with the retail, telecom and healthcare industries also benefitting from the increasing ‘connectivity’ of devices and services. Product performance monitoring (62%) is the main purpose for which businesses are relying on IoT, with maintenance/repairing (49%), usage analysis (30%), and performing system upgrades (27%) also being important uses of the technology. Municipal bodies have also started using IoT to create ‘smart cities’. Does more connections mean more cybersecurity threats? – That, unfortunately, is true. Unauthorized data access and modification, theft of intellectual property and process control denials are already fairly common, and threats of such malicious cyber attacks will only grow as IoT becomes more and more popular. The onus is on users – businesses as well as individuals – to be aware of probable network infrastructure, security and privacy threats – and make sure that their data is, in no way, compromised. Like all new technology, Internet of Things brings with it a fair share of challenges – but they are not going to prevent Industry 4.0 from growing. Innovation is the name of the game, when we talk about the trends and prospects of IoT. RFID (Radio Frequency Identification) tags will grow by almost 98% by 2020, and internet-connected clothing will also grow in popularity. The concept of ‘Connected Cows’ (use of IoT to track the health of the animal) is another much-talked about thing. According to projections by leading device analysts and mobile app entrepreneurs, the aggregate number of smartphone-users will jump by more than 4 times (6.1 million vs 1.4 million) from its present figure. With the help of Internet of Things, the contribution of ‘smartly connected industrial machinery’ to the worldwide GDP will be around 15 trillion by the next two decades – at par with the projected GDP of USA and China. And that’s a wrap for this week’s edition of the Teks weekly newsletter – AppBoard Tuesday. We will be back next week, with yet another fascinating tech and mobile-app related topic. Do send in topic suggestions, and let us know if you have anything to add regarding the growth of Internet of Things. Till the next time…love thy apps!